Elizabeth R. DeSombre is Frost Professor of Environmental Studies at Wellesley College. J. Samuel Barkin is Associate Professor in the Department of Political Science at the University of Florida. "A great environmental case study. Once you've read this book, you'll be hooked." "An ideal introduction to this subject that will appeal to a wide audience with an interest in the marine environment." "A very readable and alarming account." "Any person interested in the history of commercial fisheries and their effects on marine stocks will be interested in Fish. The writing is very straightforward and the authors present a wide range of facts and information." "A wonderful book and a valuable resource for anyone interested in ocean fisheries and their future." 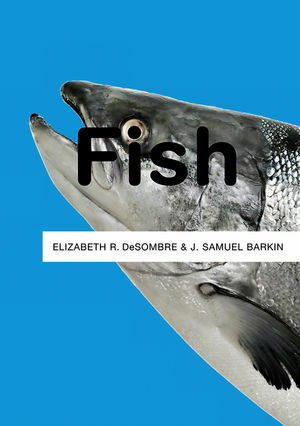 "DeSombre and Barkin explain the complex reality of global fisheries in a clear and engaging manner. Their concise description of the problems caused by human exploitation of the oceans is tempered by a set of potential solutions that can be implemented by anyone - fishers, governments, consumers, and concerned people everywhere." "Packed with facts and information, this wide-ranging book tells the tale of global fisheries in an easily accessible and engaging way. I can think of no better introduction to the subject." "The book offers a wealth of up-to-date information, is fairly comprehensive, is well-written and will provide a valuable resource for scholarly and policy debates as well as in classrooms."